Why pay full price when we have the exact recycled parts you need in our yard and all fully checked and in good working order? At Auto Ice Parts we have one of the largest ranges of Mazda, Daewoo and Mercedes spare parts in Sydney, all waiting on our shelves for you to drive in and pick them up at our Yennora yard. With cars coming through our gates all day long, we would be surprised if we don’t have the reconditioned engine or spare parts you need in our inventory, but if not – we will source what you need as quickly as possible. As the leading Mercedes car wreckers in Sydney, we have the largest stock and the best prices anywhere. Whether you have a DIY job or you need quality spare parts for a customer, the guys at our Yennora yard will have the parts you need ready and waiting for you when you arrive. Don’t waste your time on other Daewoo, Mercedes or Mazda car wreckers in Sydney, because we are your one-stop shop for quality, recycled and fully working Daewoo, Mercedes and Mazda spare parts in Sydney. 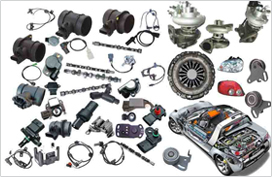 To check if we have the Mazda, Mercedes & Daewoo spare parts in Sydney you need or to price a reconditioned engine, call Auto Ice Parts (Leading car wreckers/auto parts shops sydney) on 02-9892 1010, 9892 1110 or email mail@aaautoiceparts.com or complete an online enquiry form.